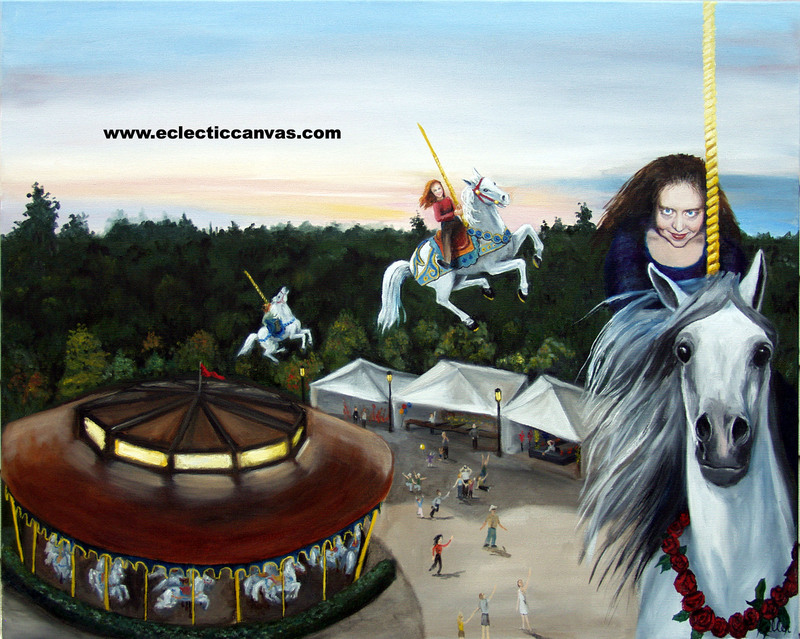 "The Unfortunate Incident at the Amusement Park"
This painting received an Honorable Mention award from the Naperville Art League in their annual Public Art Competition in April, 2010. The theme was "Commotion". The original painting is 30 X 24, oil on gallery-wrap canvas. The sides are 2 inches wide and painted to match the front. It lies flat when hung and is hung unframed. No frame comes with this painting.